We install bow & bay windows in the towns of Thame, Oxford, Bicester and Aylesbury and the counties of Buckinghamshire and Oxfordshire. A Choice of Shapes to Get the Perfect Fit. Striking Look for a Beautiful Addition. Bow windows offer an elegant, curved aesthetic for your home. This allows you to bring a more traditional look to your home. This option is perfect for bringing panoramic views to any room that they are installed into, with an arched design letting more natural light in. With our bow windows, you’ll be able to bring a bright and spacious feel to any room. 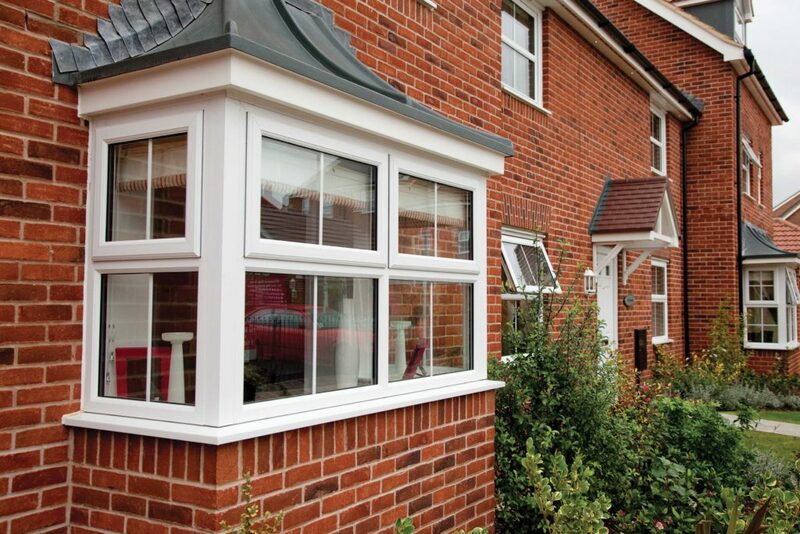 Bay windows are the more contemporary counterpart, featuring a rectangle build that offers a crisp and clean look. These windows are perfect for those looking to bring a modern addition to their home, and their shape allows for a generous space for you to utilise. This means that you can use them as a new seating area or for your decorations. You won’t have to worry about the weather drawing in with our bow and bay windows, as they comprise an intelligently designed multi-chambered profile. With this in place, you’ll be able to increase the overall heat retention of your property to help things to both get warmer and stay warmer for a longer period of time whatever the weather and across the year. Heightened heat retention does more than just keep you comfortable during the winter, it can also bring economical and environmental benefits as well. As the warmth from your central heating will stay in your home, you could find yourself relying on it less to keep you comfortable. 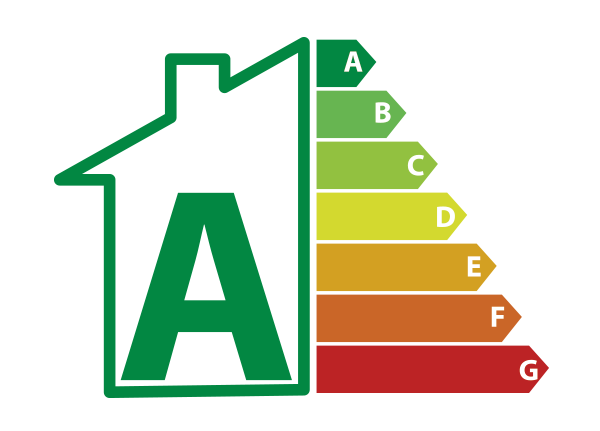 In turn, this means that you could see a reduction in your heating costs and carbon footprint. 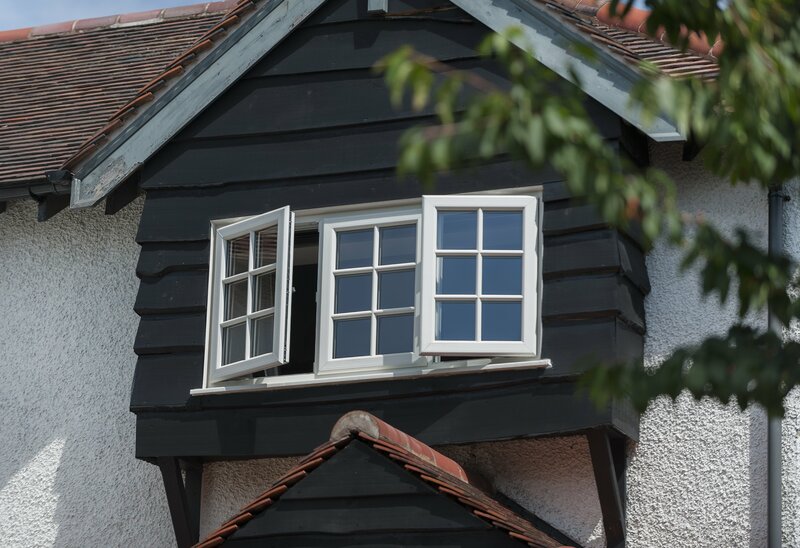 We know that feeling safe is incredibly important when it comes to making your house a home, which is why we offer bow and bay windows that are designed to resist current burglary trends. 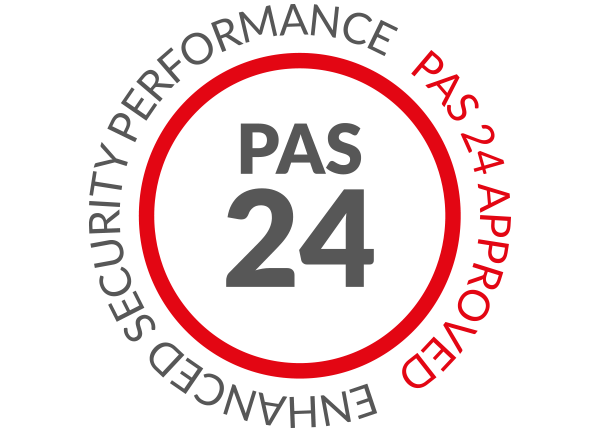 With this in mind, you’ll be able to protect your home from the intruders of today, allowing you to secure complete peace of mind with contemporary standards of protection. To achieve this standard, our bow and bay windows feature an inherently robust uPVC profile that has been manufactured using premium grade uPVC. 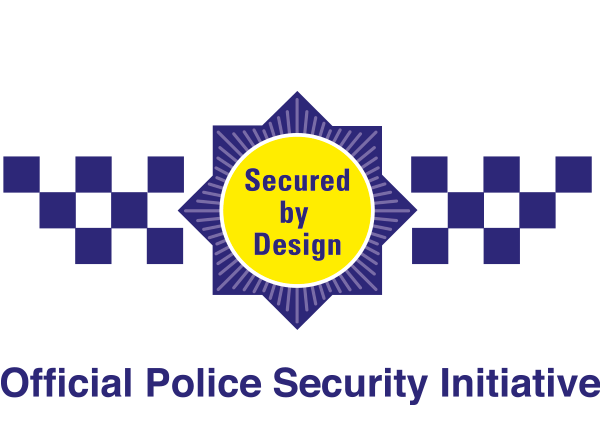 This means that it upholds an impressive degree of structural integrity that is then enhanced with high performance, multi-point locking systems that are integrated into the frame for maximum security. Bring a personal touch to your bow and bay windows by choosing from our wide range of high quality colours and hardware options, each one enabling you to bring something special to your window. We’ll be on hand to help you bring a new addition to your home that truly reflects what you want from your home. With this in mind, you’ll be able to get something for you. Further to this, all of our bow and bay windows are manufactured bespoke to your home. This means that we’ll offer a bespoke panel count to ensure you get the perfect fit, which, in turn, will enable your windows to perform as they are designed to do. You won’t have to worry about any leaks or security weak spots with Omega Homestyle. Visit our online quoting engine to get a free, instant and highly competitive bow and bay windows price. This modern tool is the ideal way for you to get price that has been tailored to your exact specifications, making things as cost-effective as possible for you. You can also get in touch with us via our online contact form to speak to a member of our friendly team. We’ll be more than happy to offer you a quote this way if you’d prefer, or you can get in touch with us via this method if you have any questions about our windows, prices or products. Why Choose Bow and Bay Windows? The bow and bay designs offer a different aesthetic for you to enjoy, respectively offering a curved or rectangular aesthetic to suit your home and your tastes. Offering a practical solution to windows of old, our bow and bay windows require very little input from you to ensure they look as good as the day they were installed. Our bow and bay windows work to keep the winter winds at bay, without compromising beautiful looks. You’ll be comfortable all year round, no matter the weather. 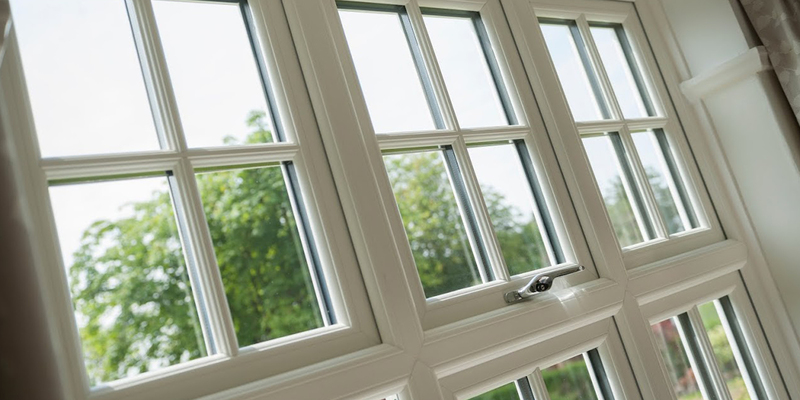 All of our bow and bay windows are manufactured using a premium grade uPVC profile, designed for modern standards of performance and appearance throughout. For your peace of mind, our bow and bay windows have been designed to achieve maximum standards of security. You'll be able to keep intruders at bay to a modern standard. 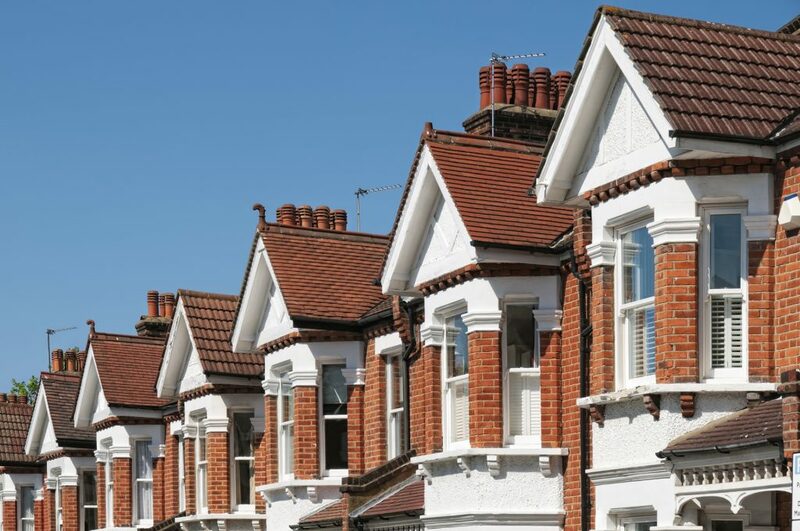 Professional installation and high performance gaskets help to keep noise pollution out of your home: perfect for homes on busy roads or in built-up inner city areas where noise is high. Bow or Bay: What's the Difference? It all comes down the shape. Bow windows are curved in design, whereas bay windows offer a more square and straight edged style. Both the bow and bay window designs are fitted with a casement sash along the top, which opens to increase the ventilation of your home. What Is Another Name for a Bay Window? A bay window can sometimes be referred to as a canted window, if it has a flat front and angled sides. It can also be called an oriel window.